Dubai, United Arab Emirates: January 16th 2019: On February 4-7 2019, LABELIANS will be exhibiting for the 3rd time in the French Pavilion at MEDLAB Dubai. The teams from LABELIANS will present, at their stand, their full range of pre-analytical, sampling transport, molecular biology, liquid handling products, etc... Plus, in a much- awaited reveal, the FMBIO5 Bioleader® armchair for blood sampling. 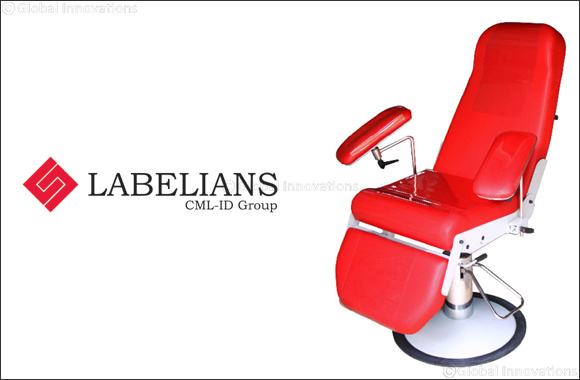 CML-ID is a French independent patrimonial holding company, specialized since 1971 in developing, manufacturing and distributing medical devices, disposables, equipments and services for the Laboratory. The Group's aims to strengthen its complementarity value chain between customers, service providers and employees.